While 400 IU of vitamin E is more than the recommended dietary allowance for adults, it is not more than the tolerable upper intake level for the vitamin. The amount is generally considered safe and unlikely to cause serious side effects. However, research about the safety of the dosage amounts of vitamin E supplements is ongoing. If you would like more information about the latest research and potential risks associated with your vitamin E dosage, talk to your doctor. Although getting too much vitamin E through food is unlikely to cause any adverse side effects, getting too much through supplements may be dangerous. It is unlikely that taking 400 IU of vitamin E a day through supplementation would cause adverse side effects, but it is possible. Excessive amounts of vitamin E may interrupt blood coagulation and may cause excessive bleeding. Getting too much may also prevent blood platelets from aggregating. Although more research needs to be done, an increased risk of hemorrhagic stroke and even death may also be possible when you get too much of the vitamin through supplementation over an extended period of time. Generally speaking, keep your vitamin E intake through supplements as close to your recommended dietary allowance amount as possible. This will ensure that you benefit by getting enough of the vitamin but will decrease your chances of experiencing undesirable side effects. The recommended dietary allowance for vitamin E is 15 mg for all people who are 14 years old or older. This is the equivalent to 22.4 IU, which is considerably less than a dose of 400 IU. Talk to your doctor if you believe you may benefit from taking more than the recommended dietary allowance. Getting 400 IU of vitamin E a day is generally considered safe because it is not over the tolerable upper intake level. Getting more than the tolerable upper intake level increases your risk of experiencing unpleasant side effects. The tolerable upper intake level for vitamin E for teenagers between the ages of 14 and 18 is 800 mg, or about 1,200 IU. The tolerable upper intake level for adults over the age of 18 is 1,000 mg, or about 1,500 IU. Never take more than these amounts unless specifically instructed by a doctor to so. Most people do not experience adverse side effects when taking less than the tolerable upper intake level of a certain vitamin or mineral. 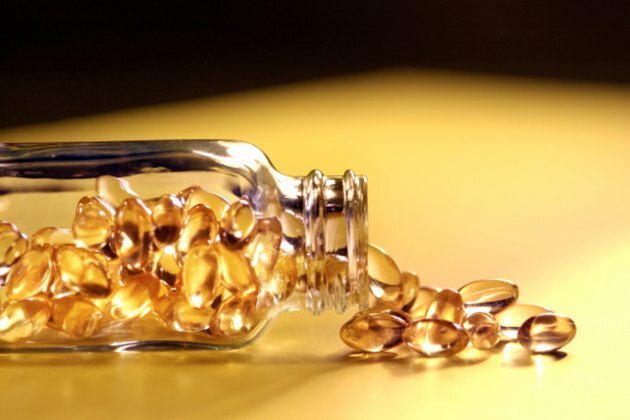 However, two meta-analyses of randomized trials have brought up concerns that vitamin E may be unsafe even at doses lower than the tolerable upper intake level, according to the U.S. Office of Dietary Supplements. One of these analyses found that the risk of death began to increase at a dose of just 150 IU a day, while the other analysis found that a dose range of 10 IU to 5,000 IU a day significantly increased mortality risk. It is important to note, however, that the participants in these studies typically had chronic diseases or other risk factors, and the same results may not occur in other healthy adults. In addition, other research reviews have not found evidence that vitamin E supplements increased the risk of mortality in healthy adults. For those concerned about these potential risks, err on the side of caution. Stick as close to the recommended dietary allowance as possible, and avoid doses of 400 IU of vitamin E a day unless specifically instructed to do so by a doctor. What Are the Benefits of Mega Dosing Vitamin C?